So let's get to know you or your writers! You've written a great book, lets get more eyes on it! Choose a campaign that fits your needs. This is the new and affordable place to boost your book promotions! My goal is to share new, emerging, published and unpublished authors, writers, poets and novelists, with readers and like minds. Appear on my blog and increase the opportunity for quality traffic to your book, direct website or blog. Get a little more buzz for your book or blog. No distracting sidebar ads with other authors and content! The focus is kept on you! The more you list your book, the more the search engines (SEO) will find it and increase your opportunities for being discovered by potential new readers and fans. 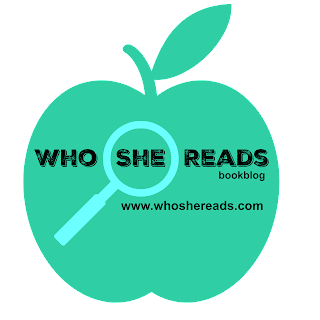 Get your material in front of real quality people on Who She Reads! 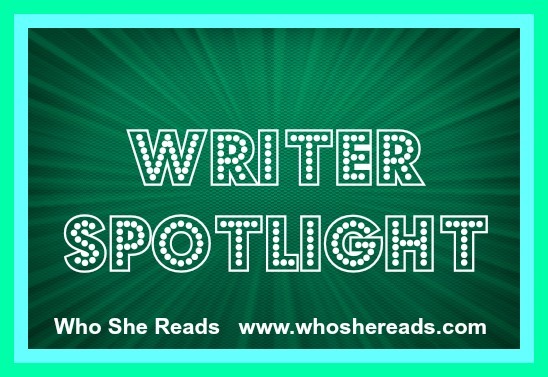 Writer Spotlight posts will be done in between Author Events when possible. This is to keep the focus on you and your writing! The newest, most affordable and hardest working book promoter available to Authors. Fill out the form below. Your post will appear on the next available weekday (Monday- Thursday) after submission. You will be supplied a date of publication and link to self promote. Includes only normal google+ auto promotion and 1 guaranteed Twitter mention. You will be included in the weekly recap. Submit 2 hi resolution, hi quality jpeg pictures, one head shot or logo for the Writer Spotlight page and one of the content you are promoting. The book cover will be included in the post only. The head shot will appear in the post and a smaller image on the Writer Spotlight page. Please use your name in the head shot image. Also, only have yourself in the photo. After all this is all about you! Your image may appear on the Writer Spotlight page before your post goes live. Posts go live between 8am-12pm. Send a nice head shot. Something you would be proud to have on the back cover of your book. The link will not work until the day of the post. Your author or pen name will appear on or under the image so readers can Google you prior to your post date if they cannot wait. Submit 2 hi resolution, hi quality jpeg pictures, one head shot or logo for the Writer Spotlight page and one of the content you are promoting. The book cover will be included in the post only. The head shot will appear in the post and a smaller 125 x 125 image on the Writer Spotlight page. Please use your name in the head shot image. Also, only have yourself in the photo. After all this is all about you! Your image may appear on the Writer Spotlight page before your post goes live. Send a nice head shot. Something you would be proud to have on the back cover of your book. The link will not work until the day of the post. Your author or pen name will appear on or under the image so readers can Google you prior to your post date if they cannot wait. Book trailers or YouTube videos showing you reading or advertising your material are also welcome. Add a few personal details like what you do when you are not writing or a childhood story you loved. What you plan to do next in the series or appearances, collaborations, etc. The more engaging the better. What inspired you to create a specific character. Let us see a little bit of you beyond the writer! During your post day also send out tweets about little known facts of the book to entice reader interest. Make the sample a few good engaging paragraphs (Preferably at least a page) and not the same free sample available online. Please proofread your entries before submitting. Make sure to use accurate working links back to your website or blog. All genres accepted. To keep the content fresh ...Only submit 1 post per month. ALL Submissions are subject to approval. 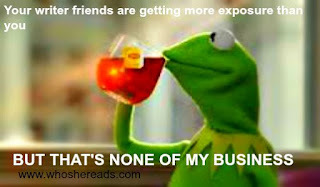 I will spend 1-2 hours stalking your blogs or websites to get a little bit of insight for myself. Featured Writer Spotlight posts will be published 1 author per day primarily on Fridays, Saturdays and Sundays in the order they are received in the hopes of focusing traffic and exposure to your supplied links and products for the day. All Genres are accepted. Adult content will have a 18+ content mention. 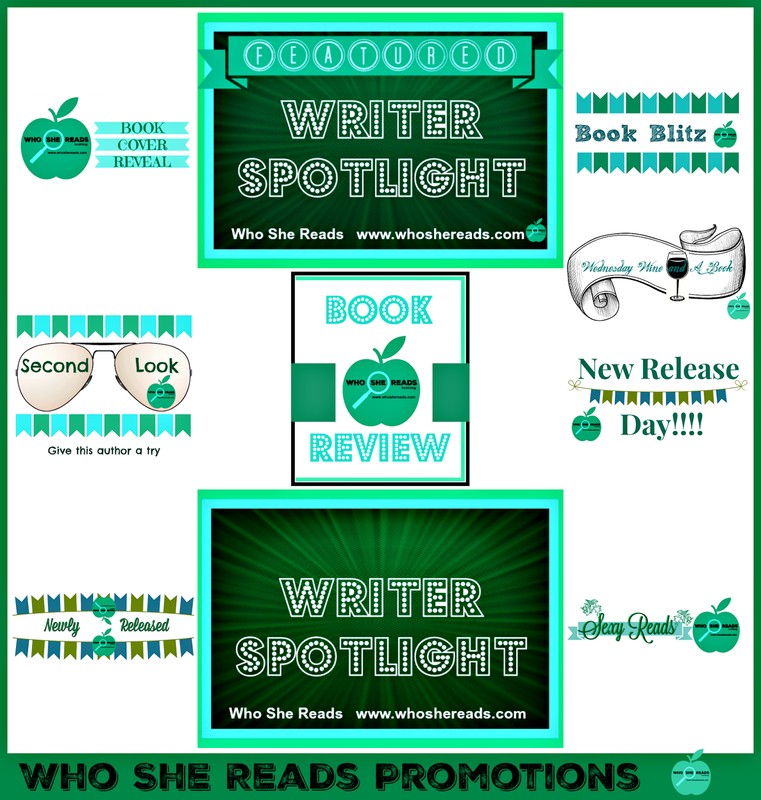 Writer Spotlight Posts go live at 8AM EST. Approximately 300-500+ minimum fresh real eyes on your content. No distracting sidebar ads with other author products or pictures! A link to share and promote. Active promotion prior to and throughout the day of your post and continued residual promotion throughout the month. My active followers continue to re-tweet my posts well after the initial engagement. I actively re-tweet your tweets. Your post will be shared on my Twitter, Facebook , Google+, Pinterest. I will send out tweets and FB posts before, during and sometimes after your appearance in Writer Spotlight. Focused Tweets usually start on Thursday evening for the writers participating that weekend and end on Sunday. You have the option to include an Author Interview. I have a wide range of followers and visitors so you are not pigeon holed by a specific genre. I will post the link to the post and book cover on my Pinterest Book board and your book cover will go on my IG account I do a small excerpt of the Writer Spotlight post on IG which is also copied to my Tumblr. Tweets and posts help to drive awareness to your book/content so please be ready to re-tweet, share, Re-post and Re-gram as much as you can. See an example of writer spotlight here. If you have street teams, make sure they have access to the link and help promote you. Your email is only for me to contact you with the date your post will appear or clarify any questions I may have about your submission. The email will also contain the link to your post to share or use on your site. I will not share your email. Also not gonna spam you. Please don't spam me either. You will be invoiced when your spotlight is accepted. payment is due prior to posting date. Only submit 1 post per seasonal quarter. ALL Submissions are subject to approval. Please Read information above and choose a campaign before filling out the form. 🔍Looking for a publisher or agent? My free list can help. 169 publisher and lit agents and growing. Subscribe Now! I am a book tour host with Give Me Books, Ardent PRose, BooksGoSocial and Xpresso Book Tours. ❔Want to send me your book? Why promote your books with Who She Reads? 5 bookstores requested my novel #ResolveAndRetribution from Xlibris Pblshng-2(MA) 2(NH) & 1 in CT Thank you for the #opportunity & your support, I appreciate it! 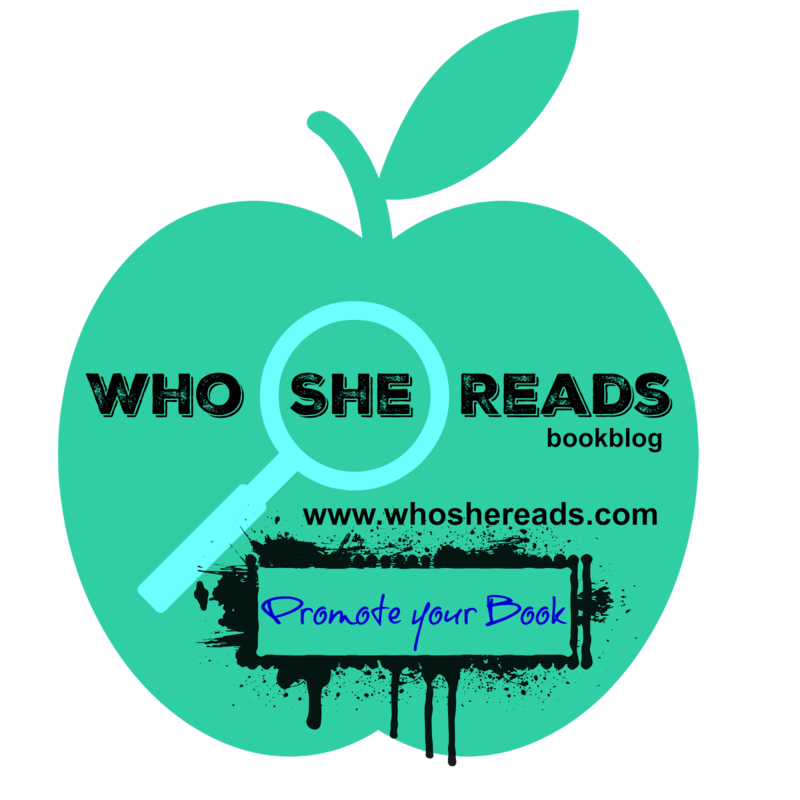 Author L Sydney Fisher- Just wanted to drop you a note and let you know how much I appreciate you hosting me in the author spotlight this morning. You did a wonderful job! My Family's Heart - I absolutely LOVE LOVE your post. I couldn't find anywhere to comment so telling you here THANK YOU SO MUCH - the set up is amazing. Author CarolSabel Blodgett- A heartfelt thanks to @she_reads1 for spotlighting my book, Wanderer, today. I'm a fan of yours now & forever. So appreciative and humbled. 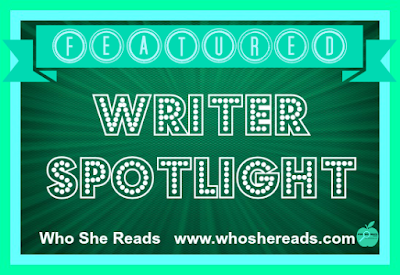 Author and MD Barbara Ebel- Sheri, Thanks so much for the She Reads spotlight today! Appreciate all that you do for authors. 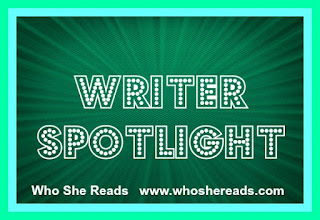 Author India Norfleet- Thoroughly enjoyed my author Spotlight on whoshereads.com Through my spotlight, I received increased traffic on my site and a spike in sales. Thank you! Author (NicolaJayne Taylor) Madame Enjay- Many thanks She Reads for all your plugging of my work; much appreciated. Thanks again! While I am young at heart, I am in my late 40's. I love books and reading. I prefer and seek out New Adult and Adult Fiction genre based books and writing that adults can enjoy and talk about. Some YA and Urban Fiction is ok, Adult and Erotica Fiction Authors are welcome. I offer paid services to supplement my income and my blog is one more arsenal in your writer's tool box to getting more recognition to your work. I post blogs according to my availability and blog space. 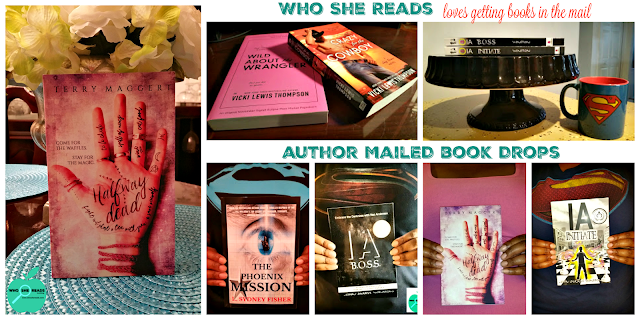 Some Book Blitzes, Cover Reveals, Reviews and Blog Tours posts have giveaways at the bottom. I do limited proofreading for novella length writing with editing suggestion. Email me for this service. 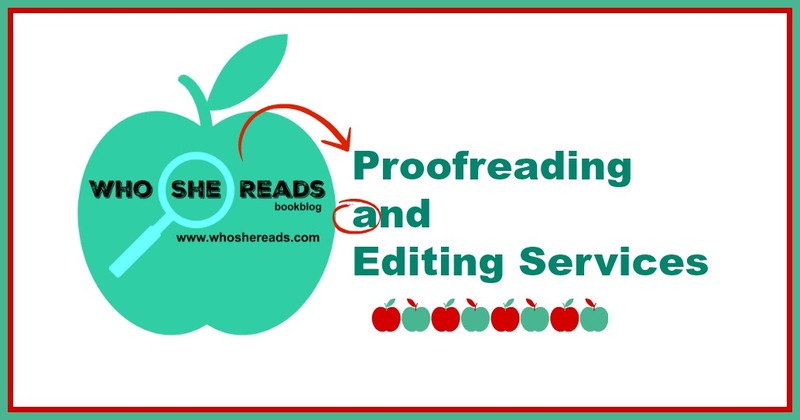 author Nejha H- "Sheri is a very efficient and honest editor. I will always use her services. My book is now on Amazon and doing well. I am also on google+ your promotions can also be shared in the many communities.